A seven-day diet and meal plan designed to produce rapid weight loss, up to 2 pounds a day, mostly from the bellly. The latest metabolic research shows that rapid weight loss is the very best way to slim down superfast and stay lean and healthy for life. 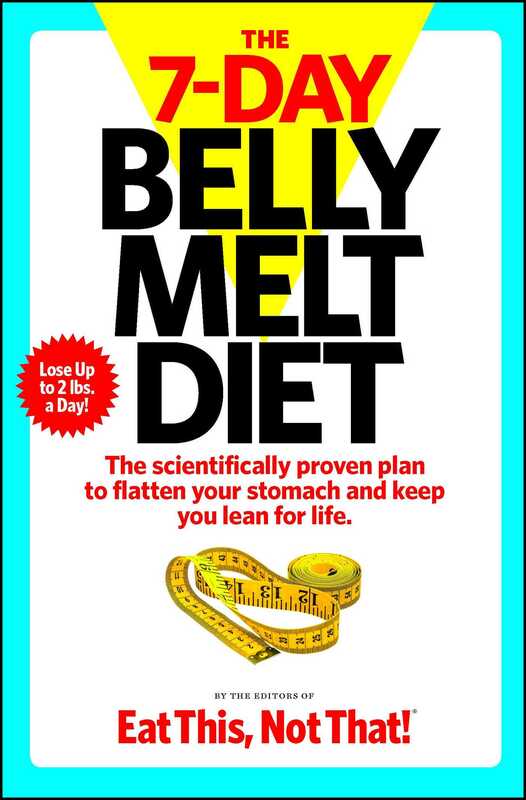 In just 7 days on this scientifically proven plan, readers can expect to melt up to 2 pounds of belly fat a day and start flattening their stomachs while dramatically improving their health. This radical new approach--rapid weight loss--is so unconventional, and flies so dramatically in the face of the "slow and steady" myth that people are going to be astounded at how quickly the weight comes off. It's time to take your foot off the brakes and accelerate to a leaner, healther, happier body. More books from this author: The Editors of Eat This, Not That!